I'm so excited! 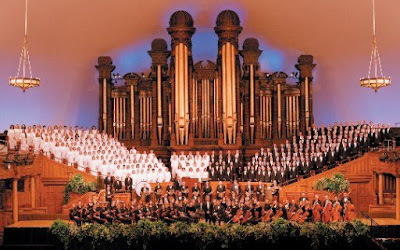 The Mormon Tabernacle Choir and the Orchestra at Temple Square is coming to Kansas City on June 25th, 2009 as part of their 2009 Midwestern Tour! Yeah!!! I can't wait to get tickets! You can find out more about the tour here. Be sure to check out the ticket info. Some of the concerts have already started selling tickets. that is so awesome! I hadn't heard! Thanks for the information! Your welcome, CJ. I hope you get to enjoy the concert!